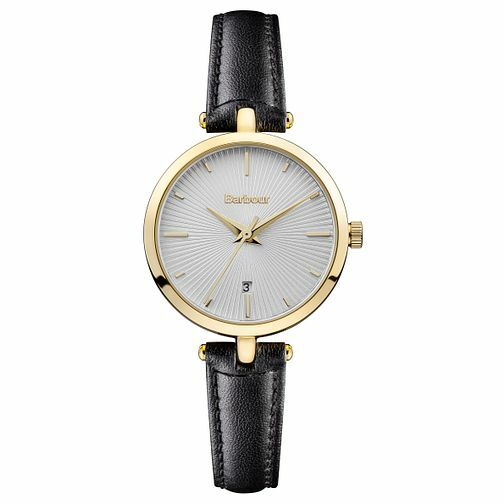 With a subtle and elegant arc, Adeline sits lightly and comfortably on the wrist, with a thin black leather strap and a yellow gold plated case. The dial features a stylish guilloché pattern that creates a lovely illusion of depth, gently overlaid with simple gold hands and hour markers. A neat date aperture sits comfortably above the 6 o'clock mark for easy and fashionable timekeeping.